In the mid-16th century, Spain and France competed for control of North America. The Spanish government believed it had exclusive rights to the continent by the blessing of the Catholic Church, and France disagreed. To protect its Atlantic shipping route from English and French privateers, Spain colonized points along the southeastern coast from the Caribbean to the Carolinas. One of these outposts was Santa Elena, the first colonial capital of Spanish Florida. Spanish colonists founded Santa Elena in 1566 on an island in the Port Royal Sound of present-day South Carolina. Both French and Spanish colonists occupied the site during the 16th century. Today, the Charlesfort-Santa Elena site is a National Historic Landmark important for its associations with the 16th century conflict between Spain and France for control of the New World and with officers Spaniard Pedro Menendez de Aviles and Frenchman Jean Ribault. The site is also considered archeologically significant. After Christopher Columbus opened the Americas to European colonization in 1492, private and royal ships loaded with valuable goods traveled between the colonies and Spain. One of the most important water routes was the Florida Straits between the Bahaman Islands and the Florida coast, where a strong current carries ships east out of the Gulf of Mexico and then straight north up the Atlantic coast. During the colonial era, French and English ships waited in these straits for silver-laden Spanish ships to attack and loot. To protect Spain’s interests, King Philip II of Spain decided to build towns on the Florida mainland coast to provide a safe haven for Spanish ships. The king chose Spanish naval officer Pedro Menéndez de Avilés to be the adelantado, or governor, of Spanish Florida in 1565 and ordered him to establish military bases on the mainland by the Straits. Adelantado was an elite military and administrative position created when the Christian Spaniards took the Iberian Peninsula back from the Moslem Moors. In Europe, the Spanish adelantados built fortified outposts in hostile areas and were responsible for bringing the surrounding region under Spanish control. In return for the adelantado’s work, the Spanish crown granted the individual economic privileges and honors. When it began colonizing the Americas, Spain continued to use this system. Other Spaniards to hold the title adelantado of Florida before Menéndez were Ponce de Léon, two men by the name of Lucas Vásquez de Ayllón, Pánfilo de Narváez, Hernando de Soto, and Tristan de Luna y Arellano. However, Spain failed to establish a permanent settlement in Florida until Menéndez’s expedition. Spanish artist Francisco de Paula Martí engraved this portrait of Pedro Menéndez de Avilés in 1791. Menéndez is best known for founding St. Augustine, the oldest continuously occupied European city in the continental United States, but his first colonial capital was Santa Elena on Parris Island in the Port Royal Sound. At the time, “Florida” was all land the Spanish believed was North of Mexico. Parris Island is located in present-day South Carolina. Before Menéndez arrived, his French rival, naval officer Jean Ribault, founded Charlesfort on the island in 1562 and claimed the land for France. Ribault’s fort was a blockhouse made of logs and clay, thatched with straw, and surrounded by a moat. Ribault’s expedition abandoned Charlesfort within a year and sailed south to found Fort Caroline. Menéndez arrived in the Straits in 1565 and fought Ribault’s forces on land and at sea along the Florida coast. He drove the French colonists from the Southeast, destroyed their forts, and reclaimed the territory for Spain. When Menéndez arrived at Parris Island in 1566, he ordered his men to build a new fort, called San Salvador, and a few months later, he founded Santa Elena, the first capital of Florida. Menéndez oversaw the construction of a larger fort, San Felipe (I), after 250 reinforcements arrived on the island in the summer of 1566. Two years later, 225 settlers – including farmers, Catholic missionaries, and families – arrived in Florida from Spain and supplemented the garrisons at St. Augustine and Santa Elena. Menéndez’s city government at Santa Elena issued land for the immigrants, and by 1569, there were 40 houses around the central plaza. For 21 years following colonization in 1566, Santa Elena’s Spanish leadership struggled to keep the coastal village working. The soil on the island could not support the farming needed to feed everyone, so there were food shortages. The Spanish were not on friendly terms with the native American Indians in the region – the Orista and Guale tribes – so the colonial farmers could not expand their farms beyond the fort’s protection. To reduce the number of people they had to feed, Menéndez’s lieutenant and kinsman, Esteban de las Alas, sent away all but 46 soldiers. This left the town vulnerable to attacks by the French and Native Americans. When ships from Spain arrived in 1571, carrying supplies and more colonists, they also brought a deadly sickness. At around the same time, a fire at San Felipe (I) destroyed the fort. Menéndez’s son-in-law, Don Diego de Velasco, oversaw the construction of a new fort, also named San Felipe (II). The purpose of this new fort was to protect and support the Spanish population during a raid. Menéndez passed away in September 1574 and the Florida adelantado passed on to his daughter Catalina’s husband, Hernando de Miranda. Miranda arrived at Santa Elena from Spain in the winter of 1576. Upon arrival, Miranda had Velasco, who was married to Menéndez’s other daughter, arrested for mismanaging soldiers’ bonuses and took over the local government. The following summer, Miranda’s ill treatment of the Native Americans provoked violence, and both the Guale and Orista attacked the Spanish together launching an assault on the settlement and its ships. The colonists fled the town and gathered at the Fort San Felipe (II). When they were able, the surviving colonists and soldiers escaped from the island on small boats left undisturbed by the attackers. Behind them, the Guale and Orista burned the fort and sacked Santa Elena. Catalina and Miranda sailed back to Spain, and St. Augustine was the capital of Spanish Florida thereafter. The Parris Island Museum provides visitors with information about the history of the island and its inhabitants. In 1577, the Spanish colonists returned to Santa Elena. Philip II appointed Menéndez’s nephew, Pedro Menéndez Márquez, as governor of Florida, which was no longer a private adelantado venture but a royal colony. Menéndez Márquez ordered his soldiers to build a new garrison, Fort San Marcos (I), and brought the Spanish colonists back to settle on the land. Under the new governor’s command, the Spanish soldiers invaded the Guale and Orista towns, which were harboring French castaways, and regained control of the island by 1580. The Spaniards’ successes at Santa Elena were short-lived, as the threat of an English empire in North America began to dawn and this changed the Spaniards’ approach in colonizing Florida. In 1586, the Spanish at St. Augustine heard of Sir Walter Raleigh’s Roanoke Island Colony on the coast of North Carolina. 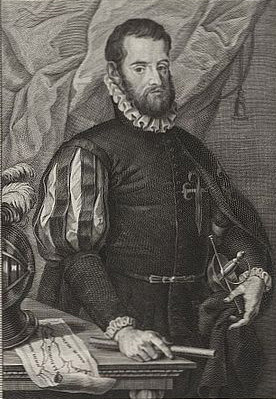 Menéndez Márquez also feared Sir Francis Drake’s war in the Caribbean. As Drake made his way north, he raided Spanish settlements at Santo Domingo, Cartagena, and St. Augustine. The English intended to take Santa Elena, too, but the fleet overshot it. In response to the English threat, Spain decided to shrink the scope of its Florida colony and consolidate its colonial towns to strengthen them. Menéndez Márquez returned to Santa Elena in 1587 and ordered his men to destroy the town infrastructure and the second Fort San Marcos (II). The Parris Island colonists moved to St. Augustine and the Spanish abandoned Santa Elena for good. For two centuries after the Spanish left, Scottish and then English colonists occupied Port Royal Sound. The coastal region was a trading ground for American Indians and Europeans before plantations developed in the coastal low country in the early 1700s. South Carolina became part of the United States at the end of the 18th century, and the plantations thrived until the American Civil War. In 1915, the United States Marine Corps created the Marine Corps Recruit Depot on Parris Island. Little was known about the Spanish at Parris Island when the USMC arrived and most of the written history focused on the French presence. While the Marines settled on the island, Major George Osterhout oversaw archeological excavations at the site of one of the forts, which he believed was French, and Congress erected a monument to Jean Ribault in 1926. At the same time, a scholar of Spanish colonial studies, Hubert Eugene Bolton, began to publish articles about Spain’s presence on the island. 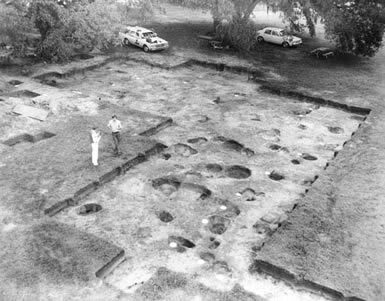 In the 1950s, National Park Service historians reexamined artifacts recovered from Parris Island by Major Osterhout and the fort he excavated. They determined the artifacts are Spanish in origin and the “French” fort is likely Spain’s Fort San Marcos (I). Since the late 1970s, archeologists continue to investigate the site of Charlesfort-Santa Elena for clues about its past inhabitants and the way they lived. In addition to revealing evidence of early European colonization in the United States, the site is valuable for what it can reveal about adelantado town planning. The site of Santa Elena was never reoccupied fully after the Spanish left in 1587. Archeologists today are able to explore the site to find information about what the town looked like in the 16th century. Excavations at Santa Elena reveal that the town had a central plaza with colonial buildings uniformly built around it. 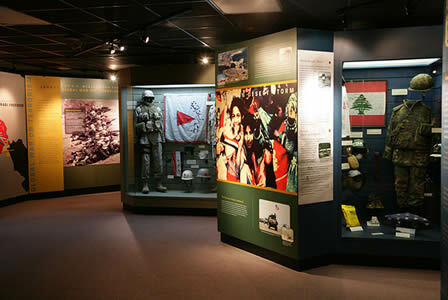 Visitors to Parris Island can learn about the island’s history at the nearby USMC Parris Island Museum. Charlesfort-Santa Elena, a National Historic Landmark, is located within the United States Marine Corps Recruit Depot on Parris Island in Port Royal, SC. Click here for the National Historic Landmark file: text and photos. The USMC Parris Island Museum is located in the base at Bldg. #111, Marine Corps Recruit Depot, Parris Island. The Parris Island Museum is open daily from 10:00am to 4:30pm, except on Easter, Thanksgiving, Christmas, and New Year’s Day. For more information, visit the Parris Island Museum website or call 843-228-2951. Charlesfort-Santa Elena is the subject of an online lesson plan, Digging into the Colonial Past: Archeology and the 16th-Century Spanish Settlements at Charlesfort-Santa Elena. The lesson plan has been produced by the National Park Service’s Teaching with Historic Places program, which offers a series of online classroom-ready lesson plans on registered historic places. To learn more, visit the Teaching with Historic Places home page.